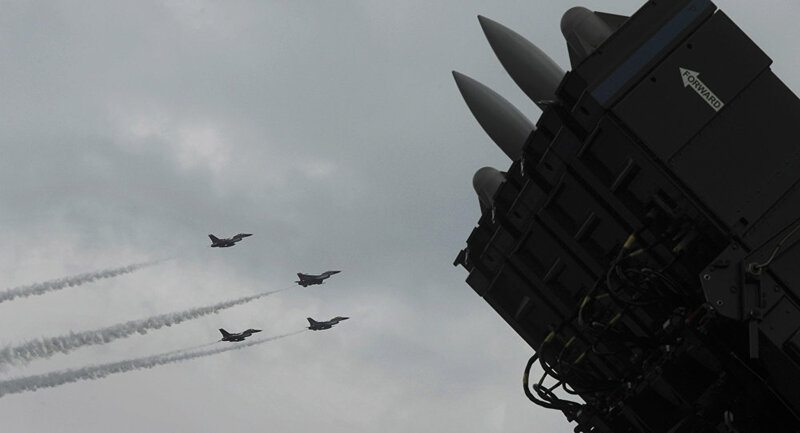 The Indian government has categorically denied reports about an ongoing discussion between Washington and New Delhi on the possible purchase of F-16 fighter jets for the Indian Air Force in exchange of waiver on sanctions under the Countering America's Adversaries Through Sanctions Act (CAATSA) for the S-400 Triumf air defense system deal with Russia. India had signed $5.43 billion deal to purchase five units of S-400 Triumf from Russia during the annual summit earlier this month. "The Ministry has noted the news reports in a section of the media, claiming that the United States had indicated that India could avoid sanctions under US CAATSA provisions if it were to give an assurance to procure F-16 aircraft from the US. This is to clarify that the news report is incorrect. No such discussions have been held by the Ministry," a clarification issued by the Indian defense ministry reads. The Indian Express had reported last week that the offer of a CAATSA waiver in exchange of a deal on F-16 fighter jets was made earlier this month. Indian defense minister Nirmala Sitharaman met her US counterpart James Mattis in Singapore last Friday on the sidelines of the Association of Southeast Asian Nations Defense Ministers' Meeting Plus (ADMM Plus). India had sent several delegations, led by the Foreign Secretary, to make a case for a sanctions waiver, but has not yet received any guarantee on the waiver despite US Defense Secretary James Mattis and US Secretary of State Mike Pompeo advocating on India’s behalf. A few days after the S-400 Triumf deal was signed, when asked if he would waive off the sanctions against India, US President Donald Trump said: "India's going to find out, aren't they?… Sooner than you think."